When running a spread offense it is important to be physical. This play is a combination of a option play and a traditional power play. 2. 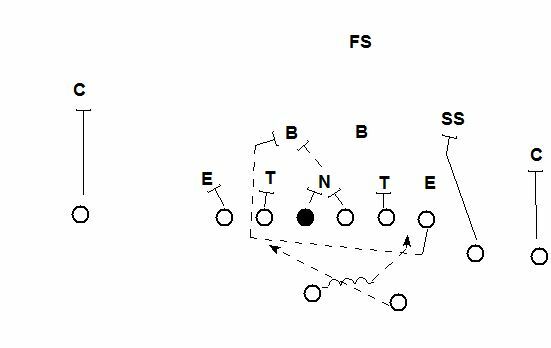 The backside tackle will pull around and up the 3 hole to pick up the front side LB. 3. The QB running toward the DE forcing him to make a choice to follow the RB or take him. 4. If the DE decide to stay wide with the QB then the QB will hand the ball off. If the DE decide to play down the line and stay with the RB then the QB will keep the ball. 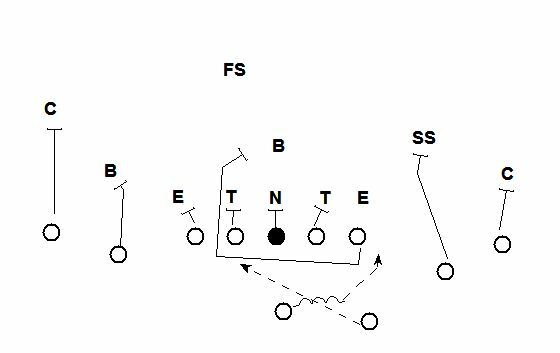 Extra Tip: If the front side tackle bait the play side DE up field the hole will be a lot bigger for the RB to read. How about blocking this vs. a 5 man front? 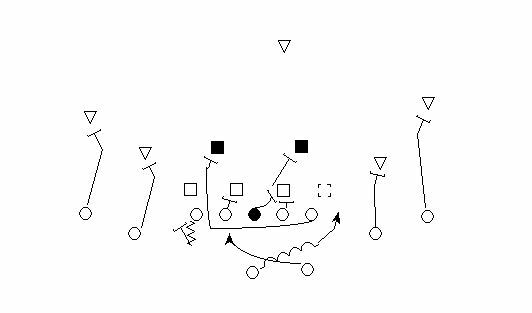 To be honest I’ve never ran it against a 5 man front but I will add some diagrams to the original post to show you the way I would run it. We signal plays in by hand signals and words…after each play we call in the play over the coaches head set and the formation, play, motion is signaled in by hand. Audibles are signaled in by words and hand signals.